This is a request for bids for service under the requirements of USAC - E-rate Form 470 for Jefferson County Public Library, Colorado. 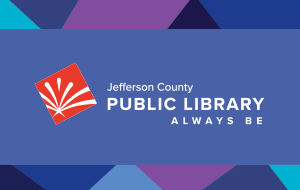 All questions, concerns and comments should be emailed to JCPL.ERATE@ieffcolibrary.org C/O Danny Lagage IT Operations Manager/Dorothy Gallegos, Check this site regularly for updates. State and County Requirements: A Colorado constitutional amendment prohibits public schools and libraries from entering into multi-year financial obligations, such as multiyear contracts, without pre-allocation of the funds unless the voters have previously approved such an obligation. [Colo. Const. Article X, Section 20(4)(b)]. The payment of Library obligations in fiscal years subsequent to the current year is contingent upon funds for this Contract being appropriated and budgeted. If funds for this Contract are not appropriated and budgeted in any year subsequent to the fiscal year of execution of this Contract, this Contract shall terminate. The Library's fiscal year is currently the calendar year. Library Requirements: The library requests that bidders communicate with us through email only. Other forms of communication such as phone calls with bidders will be initiated by the library. Bidders are required to supply their SPIN numbers with their bids and initial responses. Contract or agreement term must begin 07/01/2019 and end June 30th in the agreed terminal contractual or agreement year. Vendors must have qualifying SPIN and use it in all communications with JCPL. Vendors need to respond within the 28-day Form 470 bidding window. Also, the same service should be able to continue Month-to-Month should the contract end and a new contract for the service is not acquired. Note: We are always working to maximize our data access services at minimum cost, so we continue to negotiate for costs on our high-speed data lines while maintaining a high level of speed and capacity wherever possible. This may bring about new contracts for/or modifications to existing services to meet the same need. We are requesting 6 Meraki MR42 WAPs or equivalent devices. Equivalent devices must be able to integrate within our current Meraki solution. We would like pricing on installation and configuration as separate line items. We are requesting 2 Meraki MR72 Outdoor WAPs with external band Omni/Patch antennas or equivalent devices. These devices should be able to integrate within our current Meraki solution. We would like pricing on installation and configuration as separate line items. We are requesting 96,000 ft of CAT 6 cabling. We would like pricing on installation and configuration as separate line items. Including installation hardware for cable management. We are requesting 400ft of 6 strand multi-mode fiber cabling. We would like pricing on installation and configuration as separate line items. Including installation hardware for cable management. Amount of runs and length is approx. Amount of CAT 6 cable runs and length - 384 runs x 250ft per run. Amount of Fiber runs and Length – 2 runs x 200ft per run.